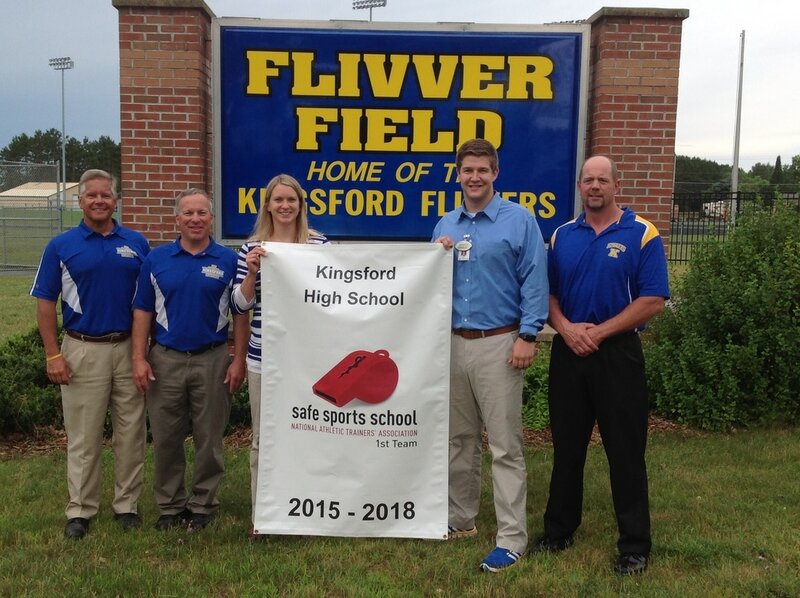 ​Kingsford High School and Dickinson County Healthcare System with the financial assistance from the Great Lakes Athletic Trainers Association have been chosen by the National Athletic Trainers Association as being a Safe Sports School. By being a Safe Sports School KHS and DCHS are committed to the health and safety of student athletes and are committed to having Certified Athletic Trainers as part of their athletics department and rehabilitation department. DCHS Rehab Services remains a frontrunner in education and advocacy for athletic trainers and healthcare as part of the secondary school system.